Max David Vredenburg was born in Brussels on January 16, 1904, and was raised in a Dutch-Jewish family. With the looming threat of war, they fled to The Hague. Max was just eleven, and at that point more comfortable with the French than the Dutch language. In 1922, after high school, he began working for an import company in dried fruits, but he soon resigned. His heart was with music. He studied theory and composition at the The Hague Conservatory with Henri Geraedts, who advised him to attend the École Normale de Musique in Paris. In 1926 and 1927, he studied with Paul Dukas and also met Albert Roussel, whose music had always inspired him greatly. He began to compose seriously. Roussel introduced him to one of the leading publishing houses at that time, Editions Maurice Senart. They published his song Vous m’avez dit free of charge. His Six pièces pour piano were published by Enoch. Back in The Hague he started working as a music critic for the social democratic newspaper Vooruit and De Socialistische Gids. He also began teaching at the conservatory. His interest in contemporary music, already awakened in Paris, perpetuated. He co-founded the successful Haagsche Studiekring voor Moderne Muziek (The Hague Research Society for Modern Music), which premiered works by Poulenc, Stravinsky, Schönberg, Hindemith, Janácek and Dutch contemporaries; for three years he served as director and gave concerts for this society. Additionally, he served as a board member of the Nederlandsche Vereeniging voor Hedendaagse Muziek (Contemporary Music Society of the Netherlands) founded by Daniel Ruyneman and was editor of the society's monthly magazine. His articles were published in different periodicals like Caecilia. In 1929, he was appointed director of the Toonkunst Choir in Schiedam and temporary conductor of the Royal Schiedam's Male Choir Orpheus, succeeding Van Beinum. At the end of 1930, he began conducting the Jewish Men's Choral society Harpe Davids. Filmmaking and composing music have a strong connection […] they relate in structure, but differ greatly in content, and thus may complement each other! When the film is visually at its strongest, the music can whisper (perhaps even be silent), and when the film is more flat in its kaleidoscopic tempo, the music is enthralling in such a way that the two arts unite, while maintaining high quality. Vredenburg was an experienced pianist and accompanist, capable of mastering a new score quickly, and he was an all-rounder. In 1936, he started an extensive tour throughout Western Europe, with Erika Mann's Die Pfeffermühle, a satirical and anti-Nazi cabaret group. The premiere in the Diligentia Theatre in The Hague was a great success, although some angry national socialists (NSB) in the public pelted the cast with potatoes. 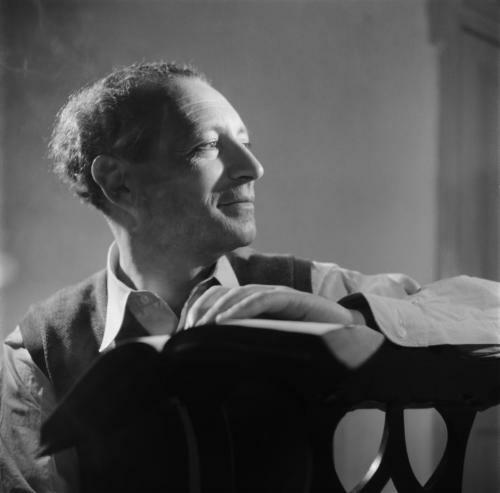 In 1938, Vredenburg returned to his beloved Paris as critique d'art and music correspondent for the newspaper nrc and the avro radio. He organized concerts with Dutch music and gave a daily discourse on Radio Paris about Dutch music and culture. He met his second wife, Nelly Sluizer, in artistic Parisian circles. His earlier marriage to Caro van der Heijden had ended in 1935. Nelly worked for an impresario and promoted Film Artistique Francais in the Netherlands. The couple married in Paris in early January 1937, a time when the situation worsened for European Jews. Nelly’s, brother George Sluizer, with among others Max and Nelly, founded Radio Vrij Nederland shortly after the German invasion in the Netherlands. As of May 19, 1940, they broadcasted from Paris, but were forced to stop very soon because the Germans were approaching Paris. The couple fled to Nice, France's free zone, where Nelly's parents had settled earlier. Among the many exiles was the Polish-French pianist/composer Alexandre Tansman, who became a lifelong friend. Already in mid-1940, plans were made to escape to the Dutch East Indies. Time was running out when the Vichy regime intensified its anti-Jewish legislation in June 1941. The family managed to obtain visas and traveled through Spain to Portugal. Eventually they boarded a ship in October and arrived in Batavia on December 5, 1941. They were barely ashore when everything shifted in a different direction. After the attack on Pearl Harbour on December 7th, Japan had seized power. The irony of fate would have it that the Vredenburgs escaped Nazi persecution, but ended up in the hands of another enemy. As an employee of the “Regeerings Publiciteitsdienst” (Governmental Publicity Department), Vredenburg wrote several articles for the Bataviaasch Nieuwsblad (Batavian Newspaper), until March 1942, when everything finally shut down. All “enemies” were interned in camps. Little is known about how Max and Nelly survived those years, but it is easy to guess. Men and women were locked up in separate camps on West Java, enduring countless hardships. In principle, music was prohibited and musical instruments were confiscated. Even teaching and keeping a diary was severely punished. Vredenburg was interned in the overcrowded camp Tjimahi on West Java, crammed together with about ten thousand men and boys. Tjimahi, unlike other camps, had a library and despite the ban, some prisoners held lectures. It is likely that Vredenburg was later transferred to the Baros Prominentenkamp (camp for well-known people). Nelly stayed at camp Tjihapit. From that time there are three undated letters, written in poor Malayasian; the content is rather insignificant due to censorship. Max wrote to Nelly that he and violinist Szymon Goldberg worked together in the camp library and occasionally made music. Supposedly they gave two or three youth concerts. To dispel boredom and keep spirits high, Vredenburg gave clandestine music lectures and French lessons. It would take until August 15, 1945 before Japan surrendered. Max's mother-in-law died shortly after the liberation. The internees couldn't leave the camps yet; the absence of civil authority and threats from paramilitary groups created an extremely dangerous situation. It was only in early October that Vredenburg received permission to visit his wife in Batavia. Max, Nelly and her father left Semarang in mid-December 1945, with the hospital ship Oranje. They arrived in Southampton on January 5, 1946. From there, the passengers traveled further on smaller ships. Tragically, Nelly's father died shortly before their arrival in Amsterdam on January 9. They were destitute and emaciated. Vredenburg's two sisters and their families and several other family members had been murdered in Auschwitz and Sobibor; his manuscripts, music recordings, library and grand piano were gone. They received some essential clothing and a bit of money. In June 1946, the couple took up residence on the Stadionweg, in the former home of his Uncle Henri, who was murdered in September 1943 in Auschwitz. This became their permant address. Vredenburg started working as a music critic for several newspapers and magazines. He affirmed his amazing skill and knowledge with numerous courses, lectures and radio talks, often devoted to French music and he was praised for his smart, witty and erudite style. He also composed and performed again regularly as a pianist with musicians like violinists Theo Olof and Géza Frid. His music for Queen Wilhelmina's fiftieth jubilee and the subsequent coronation of Queen Juliana in 1948 in Amsterdam's Olympic Stadium, was highly acclaimed. He began focusing on film music from a classically oriented yet modernistic approach; he also kept close tabs on the development of the grammaphone recording industry. From 1947 onwards, he received one commission after another, for films and documentaries by filmmakers like Bert Haanstra (Whale in sight! Above the Cherry Tree, Mirror of Holland, etc) and eight documentaries about the former Dutch colonies in the West Indies. Vredenburg was capable of writing inventive and effective “scores-for-the-microphone,” resounding satisfactorily through loudspeakers. His compositions became an essential part of the films. His music was also used for the Polygoon film journals. He expressed his enthusiasm for this medium in essays and lectures for the Film League. Vredenburg was a Zionist from the age of eighteen. He expressed this vision in lectures organized by the Jewish Zionist Union and in publications for their periodical, De Joodsche Wachter. His love of contemporary Jewish music was apparent in his own compositional style. The Russian violinist Alexander Schmuller, with whom he gave recitals, propagated new Jewish music. Undoubtedly this inspired Vredenburg to compose in a Jewish idiom. For example, the Macabi-Nederland-Marsch, Joodsche Liederen and music for a Jewish theatre play, Een joodsch leekenspel (Die einzige Lösung), of which only Unser Land remains. This song became a hit when it was released as a separate edition. Vredenburg's involvement with Israel remained strong. He was co-founder of the Netherlands-Israel Society in 1950. Countless are his lectures on Jewish music which he gave throughout the country. For all his efforts, Queen Wilhelmina awarded him with a medal of the Society of Friends of Jewish Music. Although to a lesser degree than before the war, he composed works on Jewish/biblical themes, like the song Akiba, music for theatre plays, for example Herodes (Holland Festival 1955), and the Concerto for oboe and orchestra, based on biblical cantilenas and performed by the Concertgebouw Orchestra. His music was also performed abroad. In 1949, he was appointed by the French radio as music correspondent and reporter for the Netherlands. His orchestral work Hollandse Horizonten (Dutch Horizons) was commissioned by the Marshall radio in Paris. In 1953, Vredenburg and Marius Flothuis received an honorable mention in a composition competition from the Società del Quartetto di Vercelli. He was, after Milhaud, Bloch and Schönberg, the fourth Jewish composer outside Israel to receive a commission from Israeli Music Publications. Vredenburg established Jeugd en Muziek (Youth & Music, J&M) in the Netherlands in 1948, together with Sem Dresden. Five years later Vredenburg succeeded Dresden as director, and was also one of the initiators of the National Youth Orchestra (NJO) in 1957. He played a crucial role and was a passionate advocate, on a mission to engage young people in the joyful experience of making music together. On his sixtieth birthday njo conductor Nico Hermans praised Vredenburg as a “born musician, optimist, cosmopolitan, easygoing and empathetic [...] and [...] with many contacts at home and abroad.” In April 1969, J&M celebrated their twentieth anniversary and also bade farewell to Vredenburg. The njo performed two of his compositions with baritone Max van Egmond as soloist. On this occasion, Vredenburg was Knighted in the Order of Orange-Nassau in the presence of Princess Beatrix and Prince Claus. Previously he was gratified with a number of foreign awards. In his lengthy and prestigious career, he held various management positions: at the Buma (assocation for Dutch music authors and publishers), Geneco (the Dutch Society of Composers), the Janácek Foundation, the Amsterdam Arts Council and Publishing House Donemus. He was a much sought-after jury member and adviser, widely recognized and loved. He dedicated his compositions to Alexandre Tansman, Nico Hermans, Alexander Voormolen, Henriette Bosmans and many others. After retiring from J&M, Vredenburg gradually withdrew from public life, forced by serious health problems. He died of a heart attack on August 9, 1976. Given all the hardships and personal losses it is remarkable how Max Vredenburg exploited his great strength of mind and his many talents, for the benefit of society.